Slowly but surely all countries are getting their OTaC Conference. The OTaC tour started in Paris, continued in Düsseldorf two days ago and goes to NYC tomorrow and Milan on Monday. Two weeks after the Parisian conference, here is a first look back. Coming from cold Stockholm, it was great to feel the warm atmosphere discussing employer branding trends around a hot coffee with 82 people representing 42 companies, getting excited to know about the winners of this year Online Talent Communication Competition. How does it work? We surveyed 4 100 students in France to understand their job search behavior; the companies who match them the best win! Four categories : Career website, Online Application, Social Media and Mobile. Two main topics were covered during the whole afternoon, Agility and Ownership around candidates trends and companies’ practices. The first presentation Candidates pathways showed us how fast candidates are moving! By the time a lot of companies launched Twitter accounts to talk HR, we saw that respectively 61% and 46% of candidates were already on Snapchat and Instagram when only 33% are on Twitter. We also saw that millenials cared more about their mobile phone than their toothbrush as a day to day item to cary along (and that was 2 years ago!) when only half of the employers have a mobile career page. When companies are spending so much to get candidates’ attention; this gap should not be. 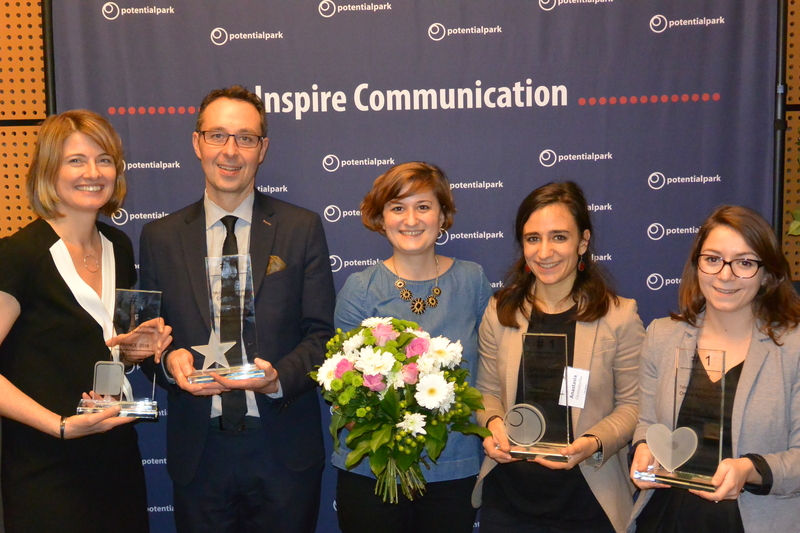 Surprise winner of 2016 edition of “Talent Communication Social Media is ” Mazars. They have this agility. With Facebook, LinkedIn, Twitter or Youtube they already had last year a good ranking and a nice set-up. 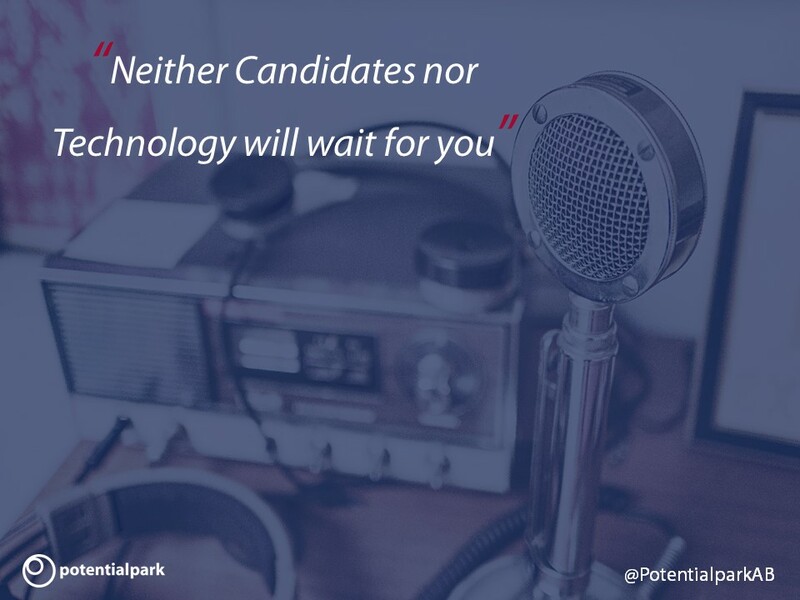 But they did not stop there : neither candidates nor technology wait for you! In order to be always closer to their target group they launched an Instagram and a Snapchat account. I have heard a lot of companies not believing in the disappearing messages platform “it’s not our target“, “it’s only for teenagers“, “we cannot speak HR there“. It’s probably a short conclusion for a platform that gathers today 61% of the candidates companies are trying to attract. Mazars is to me a great social media winner because they represent this agility, they went all-in and tried to figure out how they could speak HR on Snapchat and I must say I love the result : Go check it out. They understood the context and the special power of Snapchat to give native content and bring value to their followers. Now they are the only French company to speak Career on this channel : The winner takes it all! The second presentation was about Ownership with a great pep-talk from my colleague Julian Ziesing. 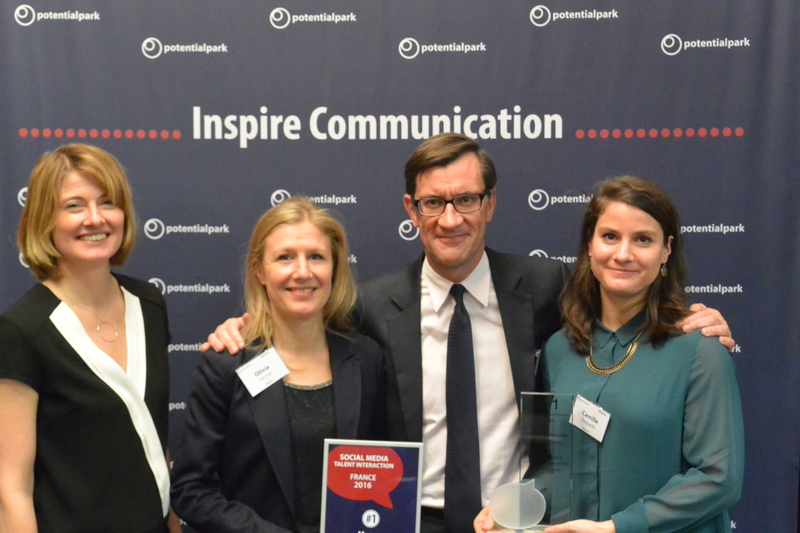 Too often companies ask Potentialpark what the winners do better. The right question should rather be what they did. We see year after year that winning companies are the ones who got ownership of everything around HR communication; they abolished excuses and tried to set up a long-term strategy. We have seen this year how important the job offer features were (in a high unemployment period, no surprise candidates want to know more about jobs, jobs and jobs again). This year Carrefour the supermarket world-leader is winning the Online Application ranking. Your ATS does not allow videos, Google Maps or other type of content? No problem, you can always host the job offers on your career website. Seeing Carrefour that high in the rankings (not only they win Online Application, they also win best Career Website in France and best Mobile Talent Communication) is very refreshing. At the origin of this success, Thierry Roger and his team had been leading a “Career and Employment Program” over the past years. They worked on all the topics around employer branding, HR communication and recruitment in order to ease candidates’ lives. Well done! This ranking shows how strategic vision, drive and ownership pay off. – Will Deloitte get his throne back? – Will Michelin continue develop an ambitious strategy? – LVMH had the biggest progression; will they keep the pace? I am looking forward to welcoming you next year to the OTaC17 Conference. In the mean time you can check more pictures of the Parisian conference on Potentialpark Facebook page. ← Advent Calendar Doors 22 to 24: final stops at Amsterdam, Buenos Aires and the North Pole!